Creating the right impression when it comes to your business premises is very important. What better way to stay in the minds of your potential clients and visitors than to wow them with imaginative, unique and eye-catching imagery. Building Additions offer a bespoke service enabling our clients to digitally print any image onto a moveable wall system before installation. 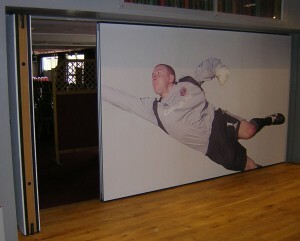 We have utilised these graphics in a range of different venues from nurseries to high profile football clubs. Our tailored service allows you to create custom walls that don’t just divide space, but add value to it. What Benefits Do Printed Walls Offer? Moveable walls with print can be customised to almost any specification you desire; any image can be implemented onto the wall. This can be a great opportunity to add an engaging or informative centrepiece to your room. Creating the right first impression is important, not only can a customised moveable wall look professional, but can be used to display a brand logo or advertisement – allowing for potential clients and visitors to better remember your brand. Blank walls can be uninspiring and add little worth to a room, having a custom print can add aesthetic value to a room, being able to choose your own image means that the print can be completely unique to your room. This could hugely benefit a property where the wall needs to compliment the rest of the room and not just blend in, for example, a restaurant or exhibition centre. Being able to customise the wall means you are able to create a personalised design to suit your needs. In a classroom environment, a plain wall can be very uninteresting for students to have to look at. 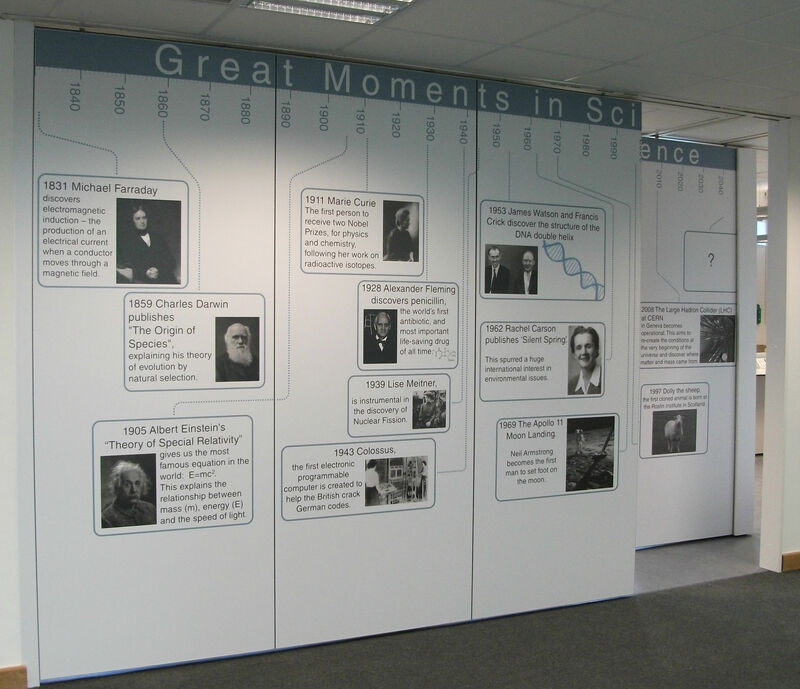 The implementation of a printed movable wall can provide an educational feature for the classroom; this can be specific to the subject that is taught in that classroom and doubles up as a teaching aid; for example, stretch up routines in the sports hall or a world map in Geography. Here you can see a customised moveable wall we built for Somerset College, allowing the students to benefit from the educational slant of the system. In a nursery, a folding wall could be customised to include engaging pictures of your children’s favourite story or an educational resource such an interactive alphabet or number chart. When presentation is important, having a defining logo or advertisement on your walls can add real value for your clients and visitors. 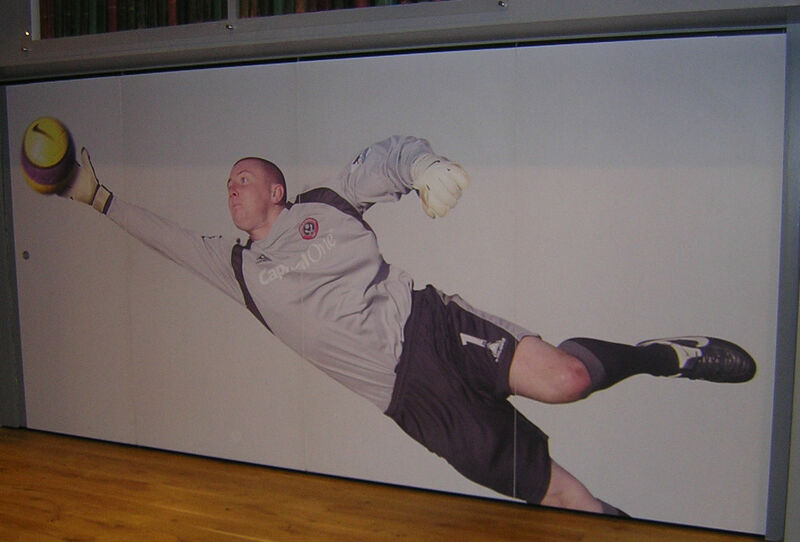 League 1 high-flyers Sheffield Utd contracted Building Additions to create a customised folding wall system to separate their conference and trophy rooms. The wall was designed to create an interesting visual for visitors to the club, our process allows for the image to be printed in sections across the walls panels, to give the appearance of a single image when the doors are closed. Now for the technical bit, before installation we take a high resolution copy of your chosen imagery – we then digitally print the image onto the melamine finish of the walls, they are then bonded to the walls. This process is what allows us to give the appearance of a single image, despite the panels being individual components. If you’re thinking about implementing a customised moveable wall system to your business, or have any other questions about our process, or how a graphic could benefit your business. Give us a call on 01373 45477 and our friendly and experienced team will be more than happy to help. This entry was posted in Folding Partitions, Operable Walls on June 27, 2016 by Andy Ferris.